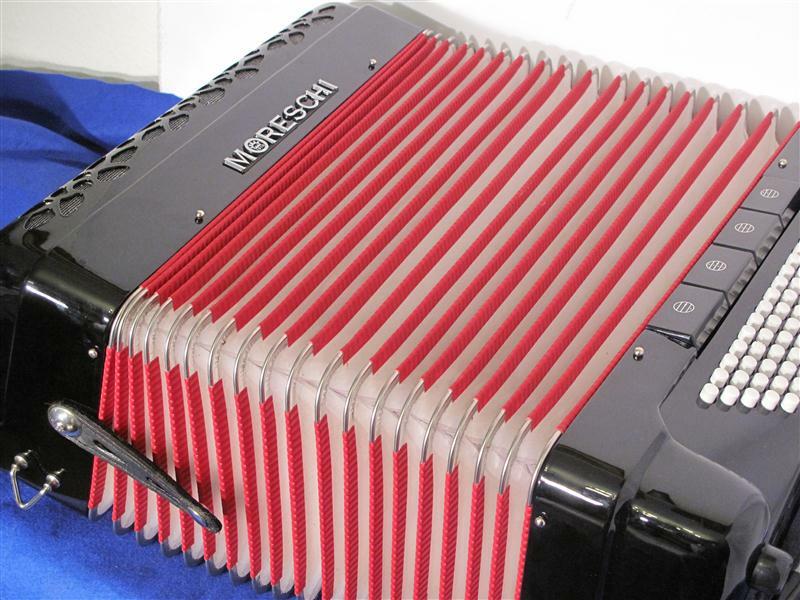 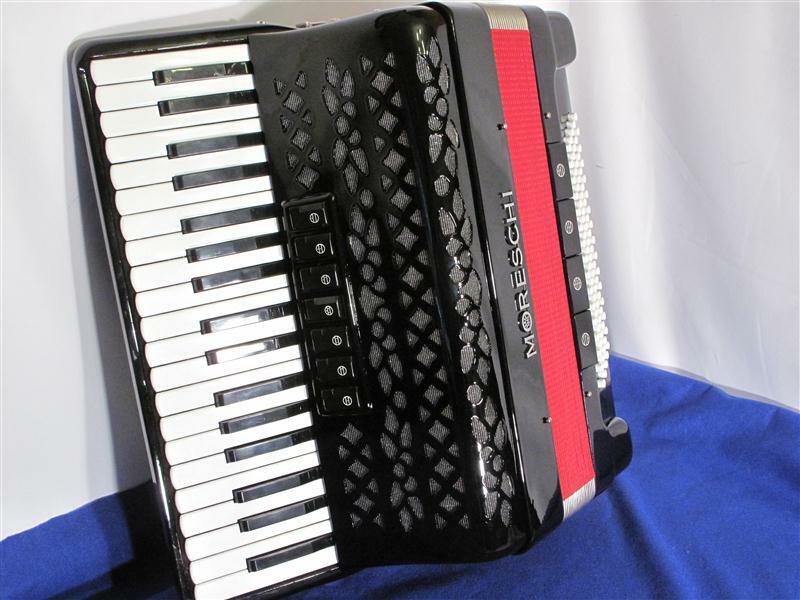 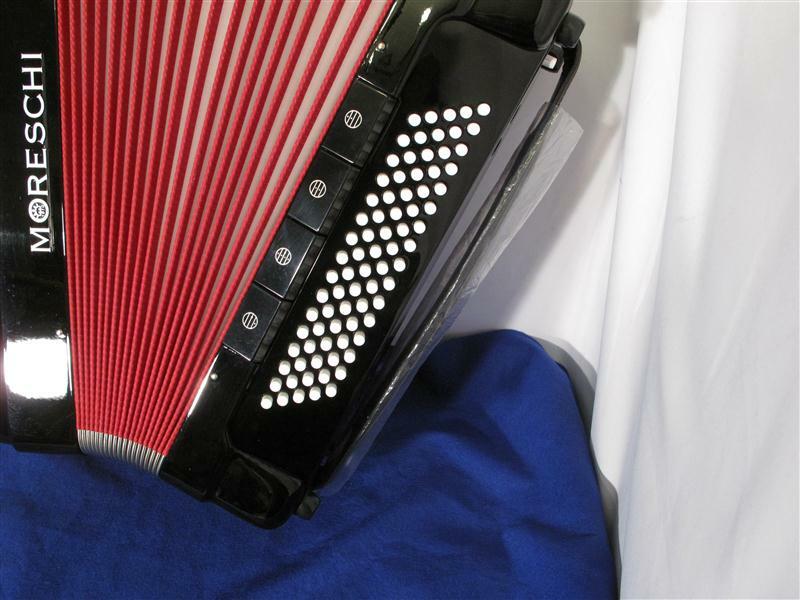 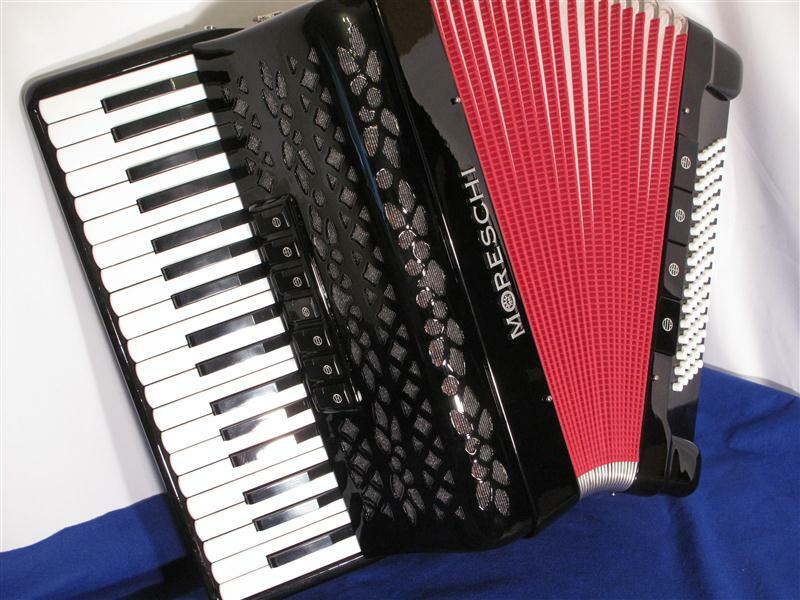 Scotlandaccordions are pleased to present Moreschi new 80 bass Accordion. 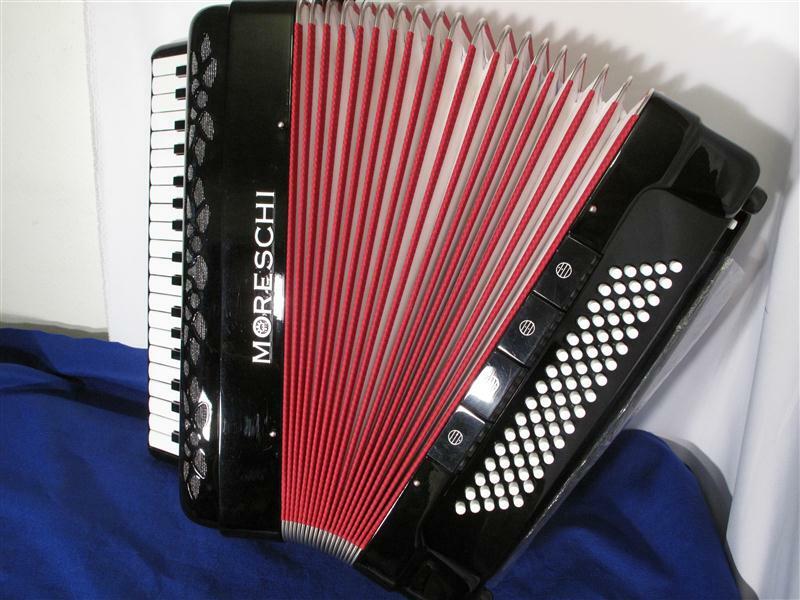 Moreschi are a famous Italian maker of quality accordions. 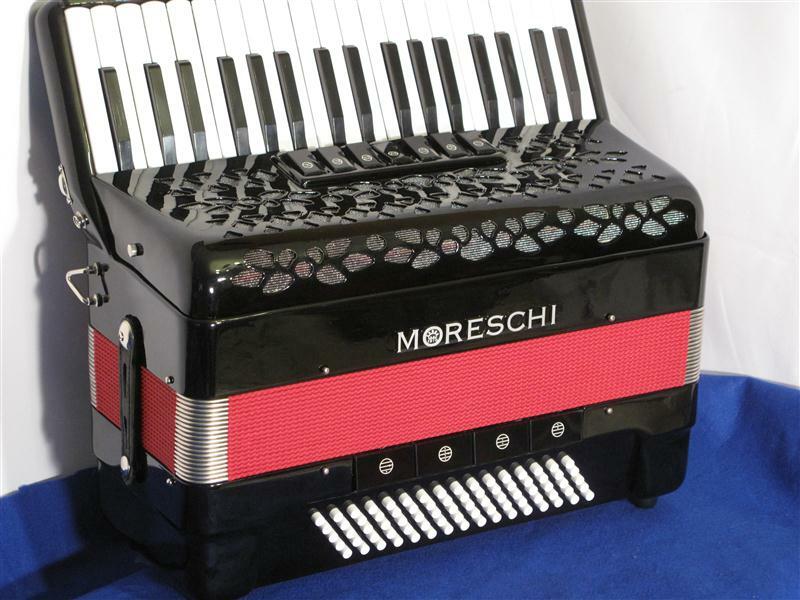 Superb new Moreschi in beautiful black finish. 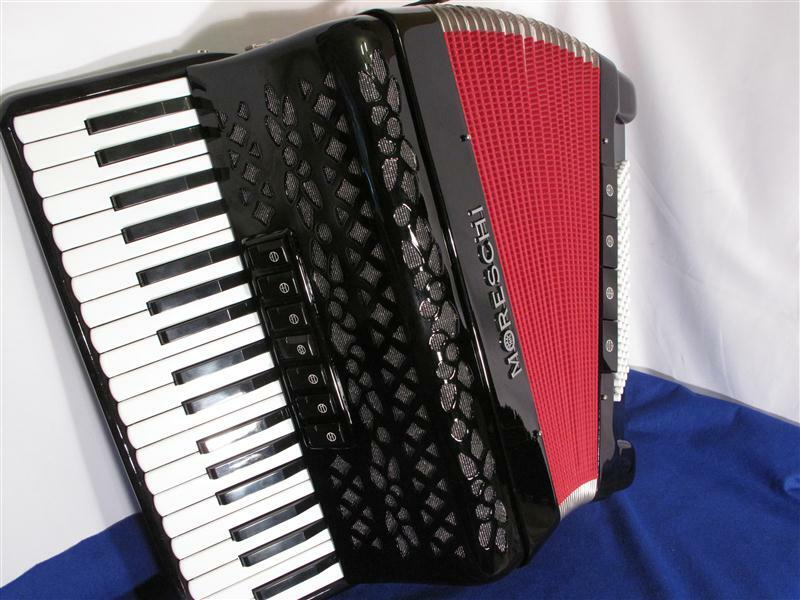 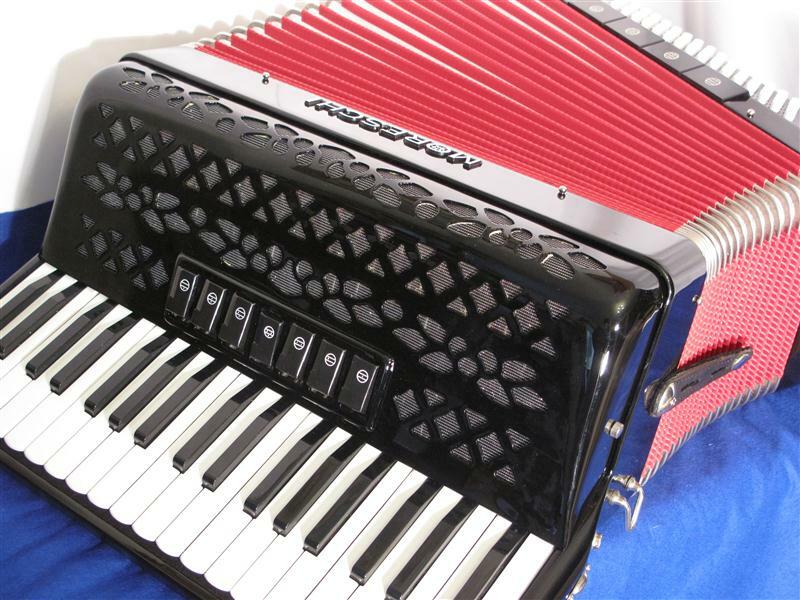 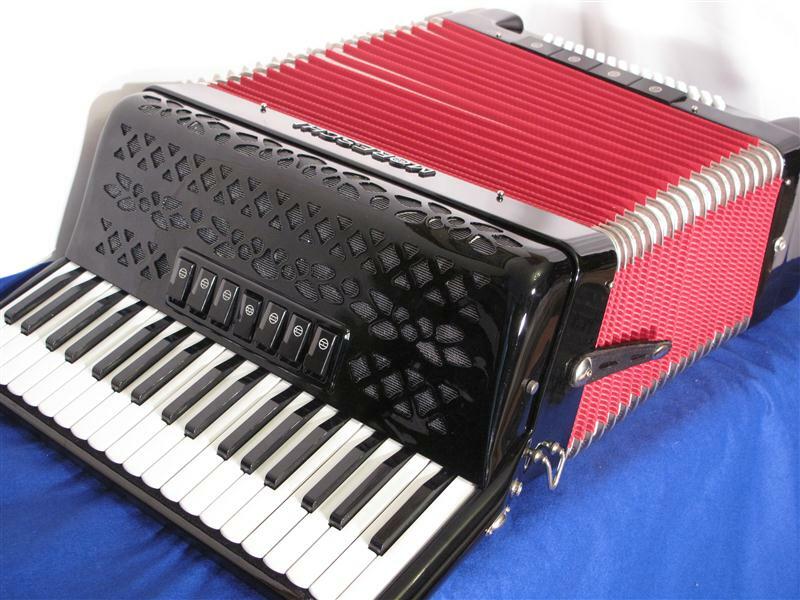 80 bass accordions are favoured in Europe and offer a very useful compromise of size and versatility. 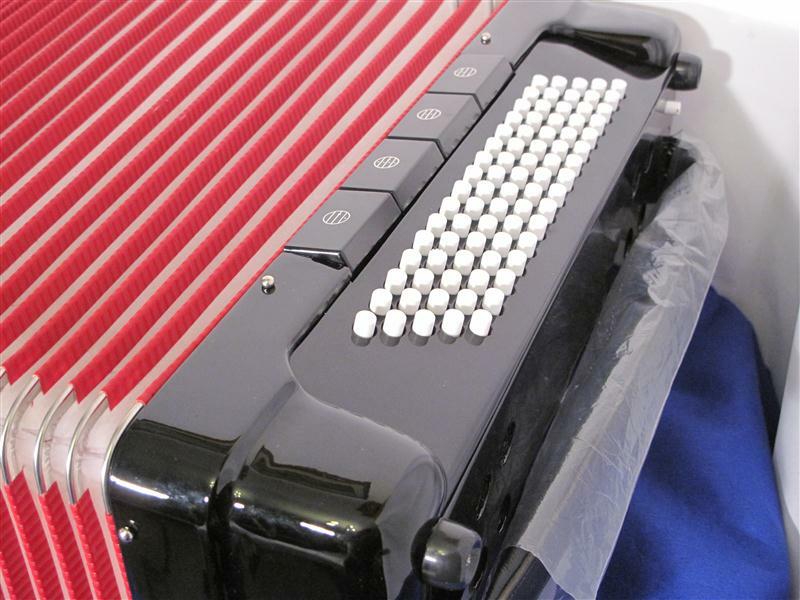 This model has 80 bass with 37 treble keys and beautiful bellows. 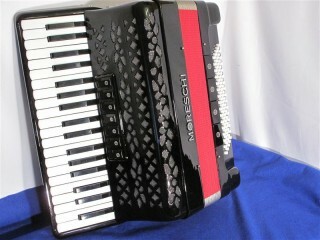 7 treble (3 sets of reeds) and 4 bass couplers. This model offers a superb balance of quality, appearance, size and playability with an extremely good sound.